In 1911, 20 year old George was living with his widowed mother Jane and younger sister Rosina at 4 South Terrace, Southampton. He was working as a painter’s labourer and was likely to have been financially supporting his family. A decade earlier, George was living with his father George, a general labourer, and sister Rosina at the South Stoneham Union Workhouse, in West End, Southampton. George joined the Royal Field Artillery as a Driver and entered the French theatre of war on 12th July 1915. 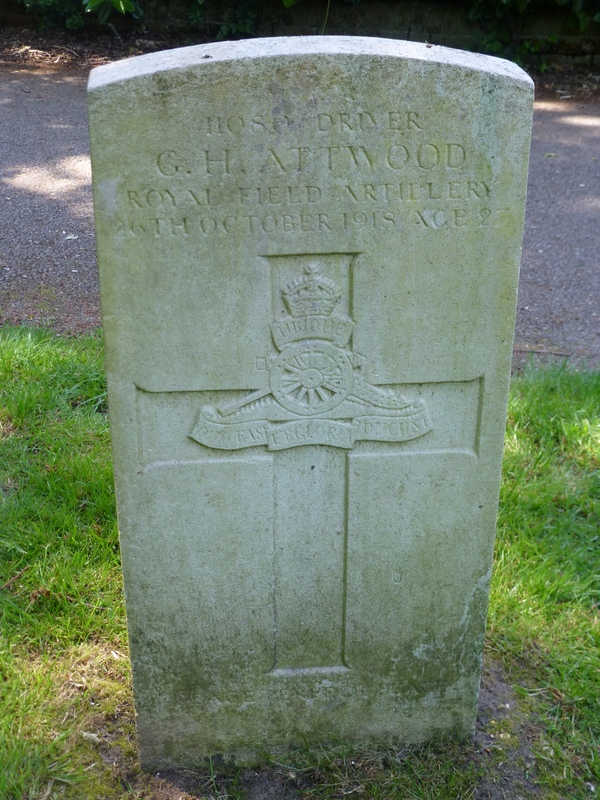 He was serving with C Battery in the 78th Brigade when he died on 26th October 1918. George is buried at Southampton Old Cemetery.